Ideally located, Midtown Square is your destination for the best of apartment living in Illinois. Enjoy premium shopping, dining, and entertainment just minutes from home in downtown Glenview. Travel and commuting is made easy with our proximity to Illinois' Metra system, Interstate 294, and O'Hare International Airport. Enjoy educational pursuits and on-campus activities just 20 minutes away at Northwestern University. Our community is also surrounded by a variety of parks, camping, and hiking so you can enjoy the outdoors. Tee off at one of several surrounding golf clubs, or experience history and culture at one of many surrounding museums including the Illinois Holocaust Museum & Education Center. Our community is just minutes from downtown Chicago too! 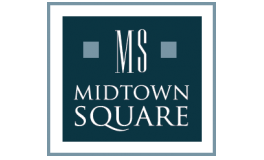 Visit our Glenview apartments at Midtown Square today!